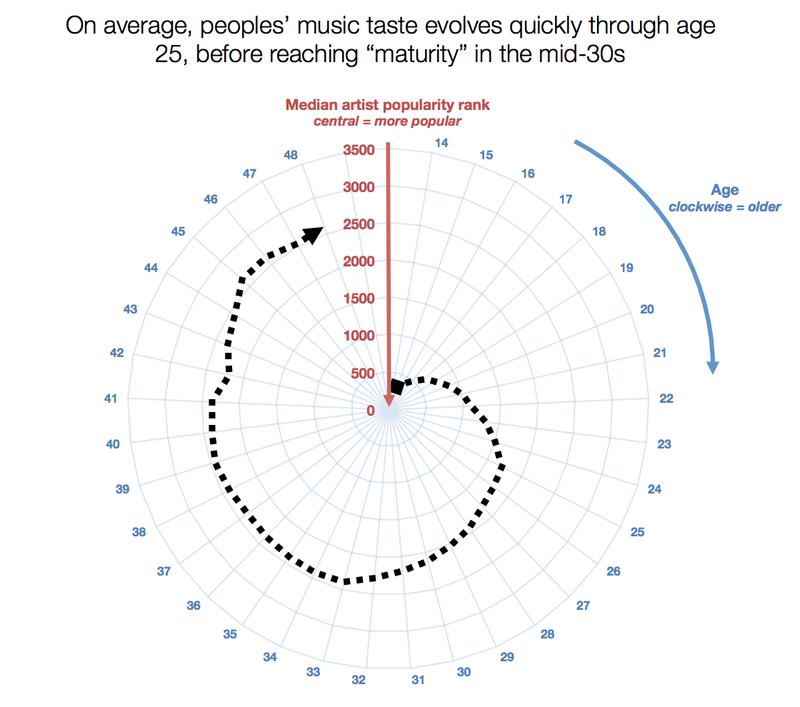 A study using listener data from Spotify confirmed what the Onion reported more than a decade ago: listeners stop seeking music once they reach their early ’30s. For me, the Onion story mirrors my own experience closer than the conclusions drawn in the study. Right around 2005, I got exhausted trying to keep up with all the new bands. 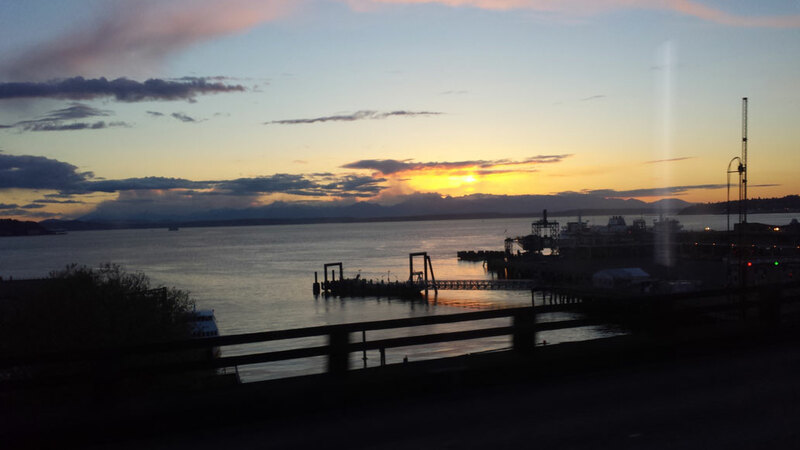 It really did feel like I was going through the motions, and at one point, I realized I wouldn’t get back all those hours listening to music that moved me only fleetingly. So I pivoted, and a decade on, I can say I add maybe one or two new artists to my collection each year. Most of what I listen to now is catalog. At the same time, I’m not sure I totally believe the idea that music was “better in my day”, as the study would like to claim. A lot of the catalog I’m exploring is music I didn’t hear when it first came out. Rhino released The Complete Studio Albums by the Replacements, a band I’ve been listening to in bits and pieces till I dropped $40 on this set. Curiosity got the best of me during Record Store Day when I picked up reissues by Social Distortion and Happy Mondays with only scant research on Google Play to help. Neneh Cherry, Ambitious Lovers, Ofra Haza — I considered buying their albums a long time ago but didn’t act till now. Then there’s my deepening relationship with modern classical music, a genre I’ve been following for a quarter of a century. I’ve discovered quite a number of great new pieces, such as Gloria Coates’ Music for Open Strings, just by picking up a vinyl record that looked interesting. Heck, I’m going back and listening to music I actually disliked the first time around. Bruce Springsteen, Peter Gabriel, AC/DC — my 18-year-old self is looking at my 43-year-old self with a very suspicious eye. So while it may look like my tastes have entrenched, I’m still getting as much satisfaction from the discoveries I’m making now as I did when I first encountered the bands that would become my idols. It’s the same experience when I encounter newer artists such as Jason Isbell, Jarell Perry or Steve Grand. I’m not stuck in the past. I’m exploring parts of the past I never got around to visiting. 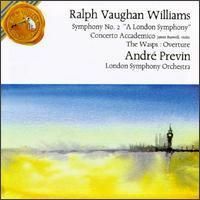 Along with Yano Akiko, this recording of Ralph Vaughan Williams’ Symphony No. 2 was one of five cassette tapes I held onto after giving up on the format more than 15 years ago. The CD reissue pictured adds a few pieces not included on my cassette. It had been years since I listened to Vaughan Williams’ London Symphony by the time I was deciding whether to toss or to keep it. I remember enjoying the piece when I listened to it, but I wasn’t too swayed to upgrade it to a CD. So it disappeared into a closet, then I forgot I even owned it. I haven’t listened to anything else by Vaughan Williams. The only reason this album is even in my collection is because of Andrew Lloyd Webber. Michael Walsh’s biography, Andrew Lloyd Webber: His Life and Works, name-checked the London Symphony, stating the famous descending hook in The Phantom of the Opera was ripped off from Vaughan Williams. Sure enough, the idyllic introduction of the first movement builds to an ominous descending chromatic line full of brass. The movement then turns into a Dvorakian meditation on British folk melodies. I probably wouldn’t be the first to say the symphony could also be nicknamed the Old World Symphony. When I unearthed the Yano Akiko cassette from storage, I also revisited this piece, wondering if my opinion of it would change over time. Surprisingly enough, it hadn’t. A London Symphony is a beautiful work — melodic, sumptuous. Thinking back, my precocious college music student self would have scoffed at a work with this much appeal, but it makes its argument to be heard and to be appreciated. Lloyd Webber larceny aside, that chromatic line in the first movement is really a punch in the ear. The third movement scherzo ratchets up the folk dances of the English countryside to a dizzying pace, and with the big gestures of the final movement, Vaughan Williams shows Aaron Copland how it’s done in the motherland. While I really like A London Symphony, it hasn’t quite spurred me to explore more of Vaughan Williams’ work. Sorry to say, A London Symphony is kind of like my Back in Black — the one piece I need from Vaughan Williams at the expense of everything else. I eventually did upgrade the cassette to CD, finding a used copy in a serendipitous stroke alongside Yano Akiko. Waterloo Records in Austin, Texas does not file its CD stock by genre. The name cards indicate by color code the genre in which an artist primarily performs. But they’re all stocked in the same room. It’s a structure that I mimic with my own collection — compilation, soundtracks and classical get their own parts of the shelf, but everything else is sorted alphabetically by artist, regardless of genre. For a long time, I’ve ignored genre as an attribute in the music I listen to. 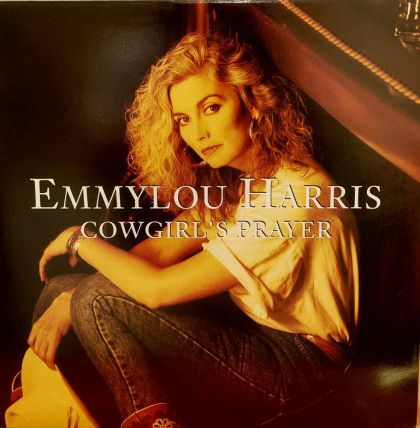 On an instinctive level, I recognize broad categories — Emmylou Harris and Renée Fleming don’t circulate in the same circles — but I try not to use genre as criteria for judgment. If anything, I tend to favor artists who blur them. 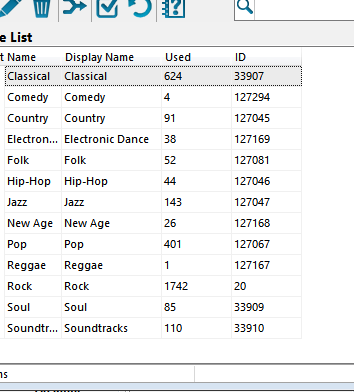 I use a database software called Music Collector by a company called Collectorz, and until recently, I used only four genres: Popular, Classical, Compilation, Soundtrack. (Seem familiar?) I recently decided to granularize that list to include more specific genres — rock, pop, country, soul, heck, even new age — and I reminded myself why I stuck to such overly broad categories. Genres require judgement calls, and the traditional list used in most record shops reflect the kinds of individuals who would work there — straight, white males. Let’s take the dichotomy between rock and pop. Rock, in your traditional music critic perspective, comes from a more authentic foundation than pop, or so it’s been perceived. A lot of calculation and commerce goes into creating pop idols, and rock musicians supposedly rally against that kind of prefabrication. So what about a guy like Steve Grand? He’s got a lot of guitars and butch posturing on his debut album. What makes him closer to Nick Lachey than to Neurtral Milk Hotel? The relationship between rock and soul is even more contentious. This categorization is entirely race-based. Are you black? You get filed under soul. Never mind that Jarell Perry sounds more like Kate Bush than OutKast ever will. And what about Res? She released an EP of Fleetwood Mac covers. Jazz is almost reverse discrimination. Yes, there are plenty of white jazz musicians, but the black musicians in the genre outnumber them. The very idea of world music is Western-centric. Speak a language other than English? You are automatically a world artist. Not that I hear much Asian folk influence in the pop music of Utada Hikaru. Molotov certainly incorporates Latin rhythms in their metal hip-hop, but then so does Shiina Ringo. Yes, certain music can be clearly classified in a particular genre. But what happens when artists confound expectations? Rock music is to guitars as pop music is to synthesizers. Is Björk a pop artist because she doesn’t have guitars on her albums? She has strings, so that makes a classical artist instead? No, ultimately we file her under rock because wearing that swan dress is not a marketing-driven decision. The exercise of using a more granular genre list made me realize I’m pretty dumb to the nuances of each genre. What determines entry to the pop category? Use of drum machines? Sales figures? Audience size? Is Duran Duran a pop band because they’ve sold millions of records? Are they a rock band because they play their own instruments and write their own songs? All these judgements make genres a tiring attribute to attach to music.